As some of you may or may not know, I recently got my hair permed. To cut an incredibly long story short I hated it at first but now I kind of like it! The curls have dropped quite a bit over the last few months leaving me with a gorgeous (even if a do say so myself) beach wave curl which is totally manageable. In fact I actually find it easier to deal with than straight hair. Since the big perm I've gone through a whole bunch of hair styling products; serums, creams, sprays and gels. You name it I've tried it. However only a few brands and products have really cut the proverbial mustard.. Enter Bumble and Bumble... The hair styling masters! I recently went to my local B&B counter on the look out for curly hair related styling products that were easy to use and gave me the kind of natural definition I was after. 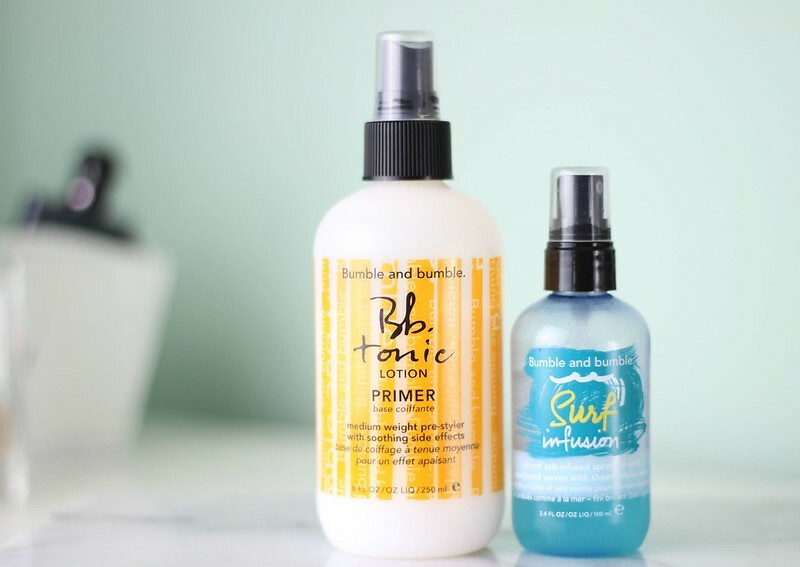 I was recommended two products; Their BB Tonic Lotion Primer and their Surf Infusion dry oil spray. This is a weird one. A primer for your hair? Bear with me people. This stuff is actually really lovely and although I'm still not 100% on it's "primer" properties I do find it super useful on one or two day old hair to give it a boost. It re-activates any product you may still have in your hair from the initial styling and freshens up your curls. It also has a lovely tee tree type scent which I adore. The only drawback is I find it leaves my hair SUPER dry. Not ideal but nothing a bit of serum can't sort. This is one of those oils that has 2 parts. An oil part and a kind of creamy part. Both separate in the bottle meaning you have to give it a good shake before use. Now the scent of this is beautiful; really fresh and almost coconut like. The dryness of the oil means it's not too oily and it leaves your curls separated and very "beach" ready. I use this most mornings to give my curls a little definition. Used in conjunction with the primer it makes for the perfect beach wave with oomph! I'm super impressed with these products and I really enjoy using them. It's so refreshing to find products that actually do exactly what you're after without giving you that horrible tacky, waxy feeling that other serums and gels can leave behind. I'll definitely be purchasing more from them as a brand and I was really impressed with the customer service I got at my local Boots. 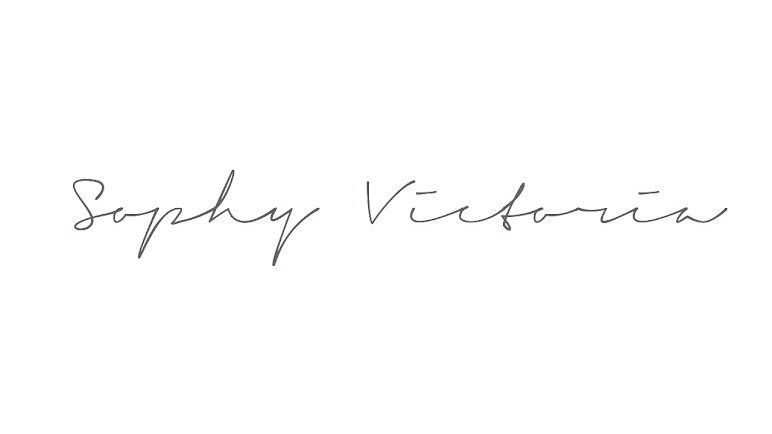 It really makes all the difference being sold products by someone who takes the time to find out what you're actually looking for! Have any of you tried any Bumble and Bumble products? If so what did you think?